Our source close to Thala57 camp who has seen the first look poster of Thala 57 has hinted us about how the first look poster would be. Apparently, Ajith will be seen shirtless in the poster, and he is said to be looking stunning as expected. 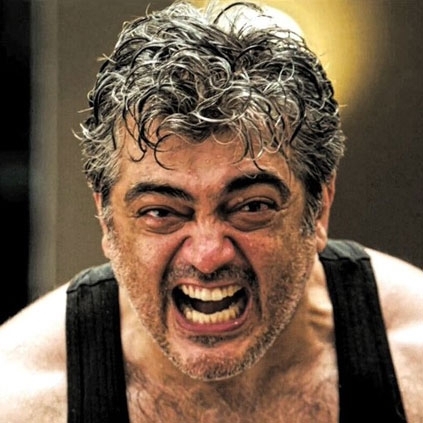 Thala is super fit and has also put on enough muscle for the role. Ostensibly, the title of the film as we had reported earlier is Vivegham and the font in the poster is simple and neat. On the whole, it is a stylish first look that is sure to enthral all the Ajith fans. PS- We have not seen the first look yet! It is hardly an hour left for the first look, and we bet it is sure worth the wait. Stay tuned for more updates! Did Thala 57 Intro Song Get Leaked? Thala 57 Aka AK57 Title To Begin With Alphabet V? People looking for online information on Ajith, Thala, Thala 57, Vivegham will find this news story useful.